We created branding and marketing material for 1863 Ullswater, including web, print and advertising. The property has been completely refurbed and offers visitors a bar, bistro and bedrooms . The owners, Anne and Mark, have invested heavily in the building and they provide their guests with the quality of a boutique hotel but the homely welcome of a traditional B&B. The branding brief was to focus on the date the property was built ‘1863’ and take inspiration from the Victorian period. 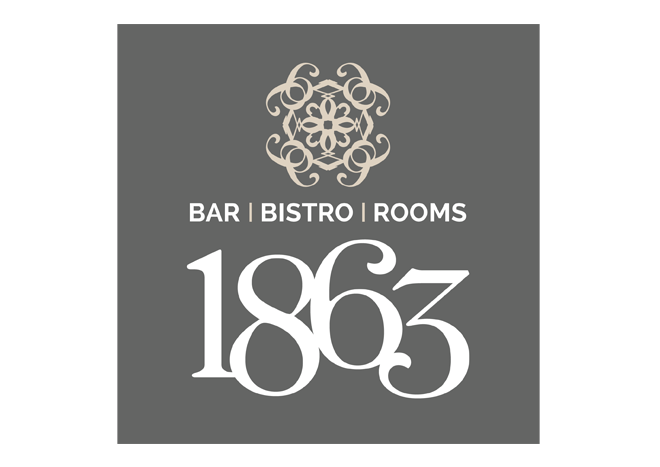 The 1863 brand mark uses a six and a three to create a stylised Victorian flourish. The WordPress website is a simple Theme and the grey colour scheme allows the photography to really stand out.